Home » Starting » Formation » IncFile vs. LegalZoom Review: Best LLC Service for Your Business? Considering LegalZoom or Incfile for your business? Then compare IncFile vs LegalZoom to determine your best LLC formation choice. LegalZoom is the leading online legal service site and Incfile specializes in new business startups and those who want to incorporate online. Let’s get ready to form your LLC, INC or DBA and launch your company. This in-depth incFile website review includes a side by side comparison with LegalZoom, feature and package list plus advice on which to choose is the best choice for your unique business situation. 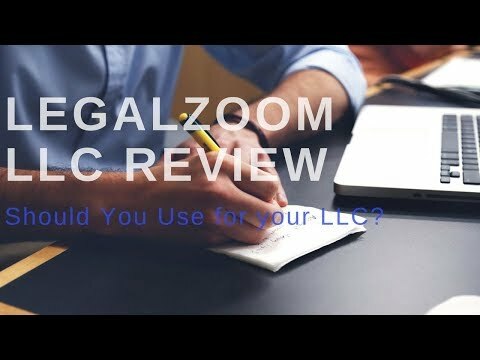 So today I will compare LegalZoom to incfile.com LLC reviews in detail, to advise you on each companies features, packages, and benefits plus exactly which is your best choice for you and your business LLC, DBA, INC formation. As a seasoned business owner, verified LegalZoom customer, and small business writer I am really impressed with Legalzoom’s excellent business combination of affordability, quality and customer service. But IncFile.com also has many good qualities and can sometimes be a better choice in your particular situation. Comparison of legal services offered by these online legal providers. Details about Incfile and Legalzoom packages and prices with a list of features included in each package for business formations. Includes: Business name search, LLC paperwork preparation and state filing, one year of Registered Agent service to accept mailed notices on your behalf, business tax consultation, next business day processing and online access to incorporation documents. Higher level packages include EIN Employer Identification Tax ID Number, operating agreement, corporation bylaws, banking resolution and business contract templates. Business name search, LLC paperwork preparation, and state filing, articles of incorporation, LLC next steps guide with business startup advice, financial account authorization letter to open your business bank account, lifetime customer support and a Peace of Mind review done by a trained individual. Higher level packages also include deluxe organizers, official certifications and corporate seals, VIP processing and rush processing with Secretary of State and express shipping. Compare Legalzoom’s 16 years in business having served over 3 million customers to IncFile’s shorter time in business, only 13 years, having only serviced 100,000 customers. LegalZoom has more experience setting up LLC with different types of customers and business situations. – IncFile and LegalZoom tied on price, but LegalZoom wins for value. Usually, IncFile pacakges are cheaper than LegalZoom, $30 less for the base package, HOWEVER, since you can use our exclusive promo code BEST4B19 to save 10% the prices of IncFile and LegalZoom are nearly identical for you. There is not an incfile coupon nor promo code available. LegalZoom wins for value because they include the all-important, often state required operating agreement in their packages. Unlike LegalZoom, IncFile charges extra for these documents, which depends upon your state, are required to file. IncFile tries to stay competitive with LegalZoom by offering a free year of Registered Agent services. While this is nice, it is not as critical as the state-mandated operating agreement in most business cases. Remember regardless of which legal service provider you select, your costs are all tax deductible as a legitimate business expense. Remember to track all your expenses and retain your receipts – in digital or paper versions. It is a statistical fact that customer is 66% more likely to leave a review if they had a negative experience. Read my LegalZoom review detailing 15,000+ verified customer reviews. I called a lawyer for a last will. He wanted 1300$. We spoke for 15 mins then I brought up LegalZoom and he hung up on me. I said to myself, “Wow I can’t believe how I was just hung up on by a lawyer because I mentioned LegalZoom.” It was obvious he was mad inside. Everyday citizens like myself have access to a wealth of information online. I paid LegalZoom 69$ and I basically saved 1200$. YouTube is the best for everything. From plumbing to electrical work to cooking and now free legal advice. God bless YouTube and god bless LegalZoom. About 5 years ago, my wife and I decided to start an LLC with the goal of making mobile games. Seemed like a fun way to pass the time and possibly lucrative, but we knew absolutely nothing about starting a company. If we had, we might not have felt the need to use LegalZoom, but honestly we were the exact demographic they were looking for: we had all the knowledge of the product, and we needed someone else to provide the knowledge and assistance in starting the business. LegalZoom was a huge help in starting my company and providing all of the legal help that I needed to navigate the space. The attorneys in their network were able to answer all of my questions and even told me what to expect in the future with issues that may come up. Absolutely loved working with them on my LLC and getting the legal advice I needed without spending a fortune! I used LegalZoom to get the correct paperwork to form an LLC my wife and I started using their Economy LLC and state filing for $204. Then I noticed on my credit card statement that LegalZoom charged me $249 for use their Registered Agent Service which I do not want. >NOTE: This issue of charges has been mentioned a few times. It is up to you, the buyer to carefully read the order form and be sure that you do not accidentally click and order services you do not need. Remember it is not the companies fault if you do not complete the order form correctly. The Operating Agreement that Legal Zoom created was a total of 15 pages and the last two pages were Exhibit’s A and B with literally no documentation. It was created in July and I needed to make some adjustments. Website advertises entity name checks prior to filing LLC papers, and advises that these take 10-15 minutes during business hours. 4 hours later, Customer Service says they haven’t started those today, and it will likely be 24-48 hours. Can’t say enough good. Had originally planned to use Legal Zoom to form my LCC, but after comparing prices I decided on IncFile and I’m very glad I did! Everything was done lightning fast, and everything was explained perfectly. I will be back for future use, great prices! Of the companies, I considered using this was the most cost-effective. It was straight forward and easy to use and the customer service was great. The fee structures of some of the other companies were not so upfront and not so user-friendly. Other services kept adding fees, so what looked like a bargain, in the beginning, became expensive. If I had gone with them I would have paid much more. This was easy fast and less expensive to get filed in a reasonable amount of time. Of all the services I considered incfile offered the best combination of service, ease of use and cost. I highly recommend incfile. Will H.
Being from overseas I needed a US phone number when registering my AZ LLC. So I left my business partners phone no. , he then received a phone call from ‘inc file’saying he needed an attorney to file the LLC and that INC would do it for $200. This is a lie as an attorney is not required to in Arizona. SHAME ON YOU INCFILE !!!! I paid a fee to incorporate in a state. I also paid additional fees for EIN. They filed in a timely matter but never received any documentation or followup on State filing progress. Had to call the state myself only to find out that the paperwork had been completed weeks earlier. However, my EIN number had not been secured through the IRS. I need this to be able to open bank accounts etc. For weeks I have tried to call them to find out where we are in the LLC process. Unfortunately, they do not answer, and a recorded message says they will call you back. Very frustrated with INCFile and just wished I had paid the extra 100.00 dollars and gone with someone else. Not worth the frustration. Again LegalZoom wins because they include more features in all of their packages as opposed to IncFile which offers less. Perhaps that is how IncFile can afford to be lower priced. But since you have a promo code for LegalZoom to save 10% your costs will be lower and you will get all the features. Important business-building features in the LLC packages from LegalZoom include; name check and business filing, state certificates, article of organization, LLC next steps guide, Peace of Mind review by legal professionals, lifetime customer support, financial account authorization letter to authorize you to open an bank account for your LLC, deluxe organizer, official certificates, 20 company membership certificates plus three (3) expeditating options; VIP processing, Secretary of State and Express shipping. – IncFile and LegalZoom tied. Both companies sweeten your deal with extra services; LegalZoom with a custom Operating Agreement and IncFile with a year of Registered Agent service. While IncFile says they ship overnight, that is only if you purchase the higher level and more expensive packages. 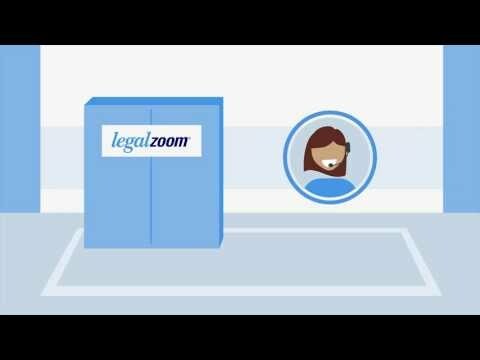 Standard processing time for LegalZoom and IncFile is 7-10 business days. InFile was a bit more confusing. First, it made me decide what type of business formation I needed – but I was not sure 🙁 Then the ordering screen was cluttered with too much information about complex topics such as annual compliance and document publishing. It was intimidating and was hard to jump at the deep end of this legal pool! Thus I preferred the simplified ordering process at LegalZoom which asked me simple questions and lead me, by the hand, through the LLC, INC and DBA process. They include a customized operating agreement, personalized for your business, meeting all your state requirements, in their packages at no extra charge. But IncFile charges additional fees for these vital business documents. In fact, most states require that you file an operating agreement, so, if you use IncFile for your LLC formation you will need to purchase this additional service. I recommend LegalZoom for the majority of businesses because of their extensive experience, a full range of legal services (including trademark, patents, legal plans, and estate planning, combined with reasonable prices. It is also wise to have a properly prepared Power of Attorney in place, assigning the individuals that you want to handle your affairs if you incapacitated. Incorporate your business today with incfile.com!